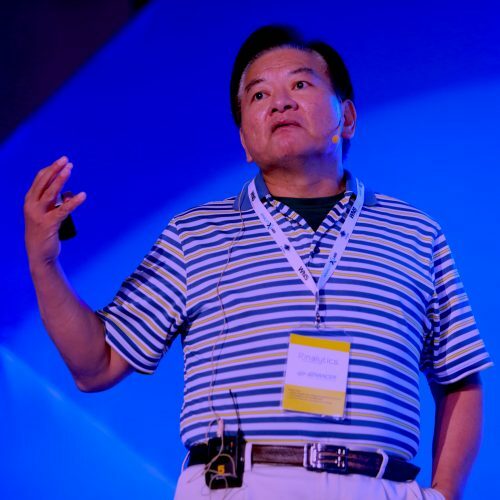 Dr. Sheng-Chuan Wu received his Ph.D. in Scientific Computing and Computer Graphics from Cornell University in the US. He has, since graduation, involved in several software companies, including the founding of the first integrated CAD/CAM/CAE company. In the last 20 years, he worked as a senior corporate executive at the leading Artificial Intelligence and Semantic Technology company,Franz Inc inSilicon Valley, with responsibility in application development, marketing, consulting and new business development. Dr. Wu has also in many occasions collaborated with Bioinformatics experts from Harvard Medical School, Stanford University and Astra Zeneca, working with massive biological data. Dr. Wu has been focusing on Semantic Technology over the last 18 years. He routinely lectured on AI and Semantic Technology at conferences. He has, since 2007, conducted more than 20 week-long workshops on Semantic Technology and Artificial Intelligence in Malaysia, China, Singapore, India and other Asian countries. Dr. Wu has also consulted on several Big Data and Semantic Technology projects in the US and Asia. Some of the projects include: Biodiversity Repository, Precision Agriculture for Citrus Plantation, Telecom Customer Relation Management, Malaysia R&D Knowledgebase, Intelligence analytics, Meta Data Management, Smart City and E-Learning System. The integration of Hiddime and AllegroGraph delivers new types of analytic outcomes and insights to provide ‘Smart Data’ for the Enterprise. AllegroGraph will bring knowledge integration to the Hiddime platform for one of a kind data science capabilities that will deliver unique value for each user.